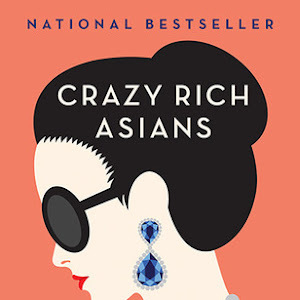 When Nick Young invites Rachel Chu to attend a wedding in Singapore and spend most of the summer in Asia with him, she agrees to tag along in order to spend more time with Nick, to see where he grew up and to meet his family. But she’s woefully unprepared for the revelation that Nick and his family are rich. Not just the ordinary kind of well-to-do, but well… crazy rich. Faced with opposition from majority of Nick’s usual crowd because she’s not of the right pedigree, Rachel must decide just how much she’s willing to fight for her relationship with Nick… and whether she wants to. 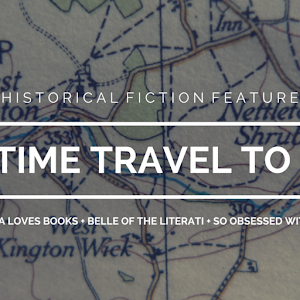 When their usual summer vacation plans to visit Cape Cod fall through, the Penderwicks – four sister, one father and one dog – end up staying in a cottage on the Arundel estate instead for a few weeks. Little do these girls know of the adventures that await them this summer: crushes, and gardens, and stories, and parties, and a variety of new friends. I first heard about The Penderwicks through Hannah, who had mentioned the series off-hand to me because she had been loving it. 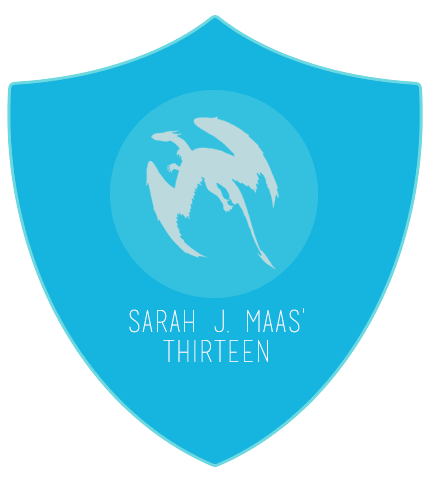 It hit my radar again recently because Kristin read the first book towards the end of last year and fell head over heels in love with it. I’m so happy that I was coerced into picking up this novel sooner rather than later, because The Penderwicks is delightful! I had been under the mistaken impression that this was a children’s classic; it’s actually a fairly recent release (early 2000s), though it does have the feel of a classic for sure, specifically in the vein of Anne of Green Gables, Little Women and The Secret Garden. 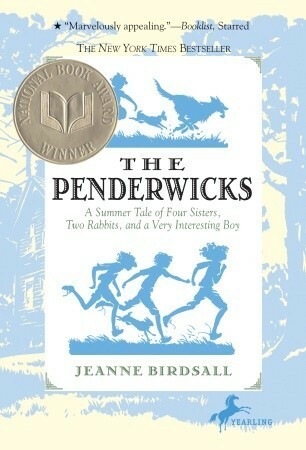 The story is as simple as the summary describes: a summer in the lives of the Penderwick family. 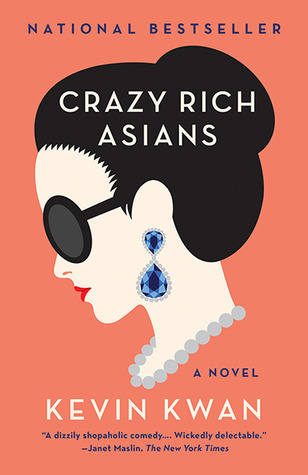 What makes this novel shine though are the four main characters: eldest sister Rosalind who is the mom of the group, second sister Skye who chafes at any sort of restraint, third sister Jane who is an aspiring novelist and baby sister Batty who has a unique way of seeing the world. I fell in love with all four sisters and their relationships with one another, and it’s the primary reason I enjoyed this story so much. I turned the last page feeling so much warmth and affection for these girls, and I’m looking forward to discovering the rest of their story. 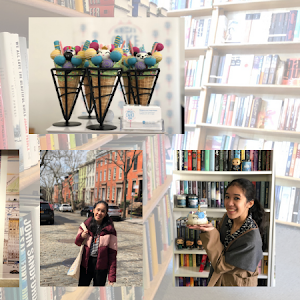 Brenna Jensen has made questionable choices in her past, but that’s all behind her now that she’s settled in to life as a student at Briar University. She knows without a doubt what she wants in her future: a coveted internship at HockeyNet that might lead to future work opportunities. But in order to get the attention of the misogynist in charge of hiring interns, she ends up telling one little lie: that she’s in a committed relationship with Jake Connelly, the star forward of the Harvard hockey team (who happen to be Briar’s greatest rivals in the sport), and someone who she happens to share some real chemistry with. Jake agrees to be her fake boyfriend on one condition: that she gives him a real date in exchange for every fake one they go on. I’ll be completely honest, friends, and tell you that I wasn’t really expecting to love The Risk. 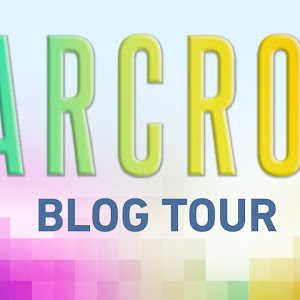 If you’ve been a blog reader for a while, you’ll know that I’m fully obsessed with the Off-Campus series and that I found that The Chase, the first book in the Briar U spin-off series, was fun to read but ultimately no comparison to the original series. So, it was with barely any expectations that I dove into The Risk… and it surprised me! Brenna is independent, determined and outspoken, a fierce gal who I wouldn’t mind being friends with. Jake is a sweetheart, devoted and patient, the kind of guy that I would fall for just as quickly as Brenna did. As individuals, they leapt off the page in a remarkably real way; as a couple, I fell head over heels in love with them. They had excellent chemistry, characterized by a whole lot of banter, teasing and challenging in the way that has the couple (and the reader) just about dying for them to admit that there was a real thing developing between them. I really enjoyed how their story unfolded (even with the drama that ensues past a certain point). 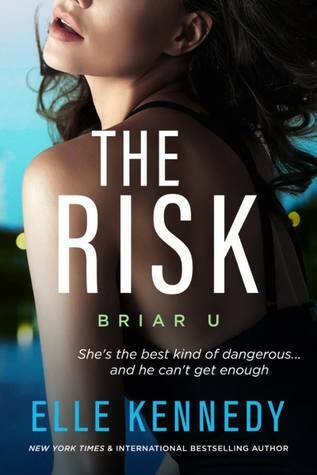 I laughed, I swooned and I cried, and I was so invested in Brenna and Jake getting together – which is how I know The Risk was truly a book I adored.